The ballots are in from the NSW state election. Here’s what the outlook is for the engineering profession in four key policy areas. With the Liberal Party-National Party Coalition Government returned with a slim majority following last weekend’s NSW state election, the State Government, under Premier Gladys Berejiklian, will implement the policies it took to the election and continue its existing program of work. Although the Government has emerged with a slim majority in the Legislative Assembly (lower house), for legislation the Opposition does not support, the Government will need to rely on the support of crossbenchers in the Legislative Council (upper house) for legislation to pass. This means the Government will have to closely consider the views of minor parties that performed relatively well in the election, such as the Shooters, Fishers and Farmers Party, during policy development processes. The following analysis summarises key policy positions on issues which are directly relevant to the engineering profession. The analysis includes announcements by the Coalition before election day, as well as information about the associated policy positions of minor parties and independents. Further to the information provided in our summary of the election outcome (view here), both the Coalition and Labor committed to introducing compulsory registration of engineers in NSW ahead of the election. Indeed, the Coalition informed Engineers Australia last week that it intends to formally commence the process of delivering on this policy within six months of the election. The Coalition has indicated that its new regime would apply to National Construction Code-related work and not infrastructure, such as bridges and roads. 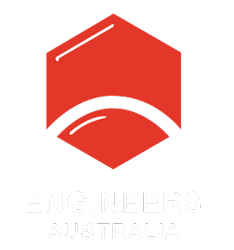 Labor’s pre-election policy stated its register of engineers would have been aligned with the existing register of engineers in Queensland, potentially meaning it would have covered a broader range of engineering disciplines. The Shooters, Fishers and Farmers Party is a strong supporter of coal as an energy source and the energy policy it took to the election states “we do not believe government should divert large sums of public money into intermittent energy sources” and that “all energy sources [should] be assessed on their own economic, social and environmental merits”. Support the immediate construction of a new HELE (high-efficiency, low-emission) power plant in the Hunter Valley, utilising the modern technology to ensure the highest standards of efficiency. bringing back a carbon price for industries that release greenhouse gasses to achieve net-zero emissions by 2040. The Coalition has promised to spend an additional $1 billion to fix local councils’ roads and bridges. It has committed $500 million to repairing roads and $500 million to replace timber bridges in regional NSW, which are in poor shape. Other transport policies it has announced include accelerating construction of the new Sydney Metro West rail line between Parramatta and the city with funding of $6.4 billion over four years, allowing construction to start in 2020. Metro West extension – Westmead to Western Sydney Airport. North-South metro rail extension – St Marys to Rouse Hill via Schofields, Western Sydney Aerotropolis to Macarthur. Metro South West extension – Bankstown to Liverpool. This policy area did not attract much public attention in the lead-up to the election among most candidates, including Coalition candidates and party leaders. To help improve communication and connectivity, the State Government has promised to: invest more than $300 million in building mobile black spot towers to improve voice and text services across regional NSW; and invest $100 million in regional data centres to improve the speed and reliability of regional internet.